Dexterous group is a refurbishment company in North London. We provide free estimates and a fully project managed service for larger refurbishment works. We have skilled tradesmen available whether you need a room done or your entire home or office. We offer all the refurbishment services you need, including decorating, carpentry, plumbing, home maintenance and more. We come equipped with a full range of manual and power tools: We can also select, purchase, and deliver special materials if required. You deserve a trustworthy, efficient and polite professional to visit you every time you book a service. That's why we evaluate each tradesman’s performance based on customer feedback to guarantee a service of real value to you. You are busy and time-limited, that's why we are flexible in terms of appointment time. You can schedule your handyman service in London on weekdays, evenings, Saturdays, Sundays, and even bank holidays. 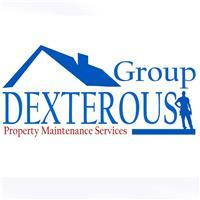 Your property is in safe hands with Dexterous Group. Each technician carries public liability insurance for a minimum of £1 million which guarantees you a trouble-free service.